OhMyGoodness could you just DIE????!!! and in the process, I unearthed two vintage glass lamp globes in a closet. and they could not fit more perfectly! I used the lid from the container as a hat - to me, it looks rather like a beret. so let's call her 'Joy'. As in, 'Joyeux'. Joyeux et Noel. Yep, that works! Love, Love, LOVE them - and I already have ideas for more! remember that regular smooth glass globes are available at hardware stores. Take a peek at how I FOOFED one of these up for VALENTINE'S Day! 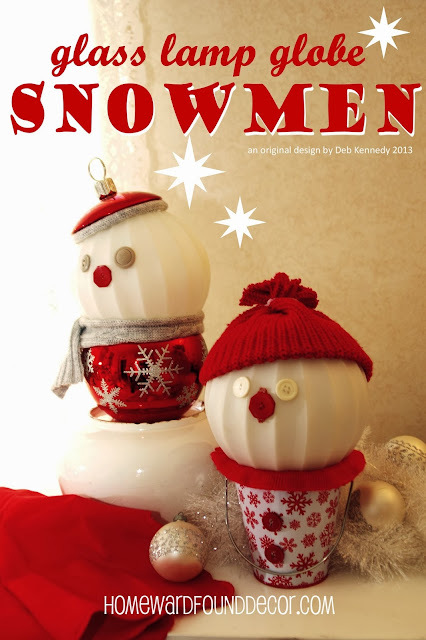 Cup O' LOVE snowmen, and SWEETheart Snowmen! Even cuter than sweet sweater pumpkins, if that is possible!! 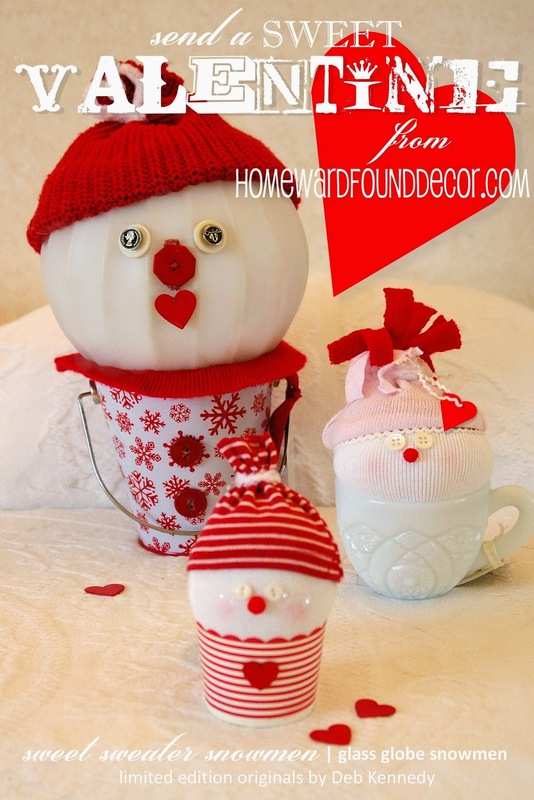 I am so thankful you stopped by www.recipesforourdailybread.com and linking up. I look forward to following all of your social medias. I truly need decor help. Thank you for the invitation to participate, Diane!